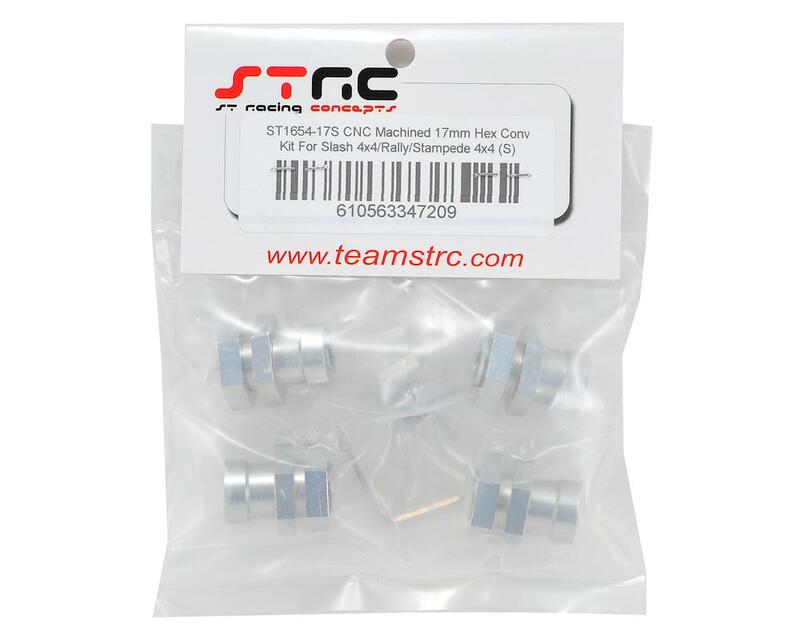 This is an optional ST Racing Concepts 17mm Hex Conversion Kit, and is intended for use with the Traxxas Slash 4x4, Stampede 4x4 and Traxxas Rally vehicles. This 17mm Hex Conversion Kit allows Slash 4x4 and Stampede 4x4 owners to use high traction 1/8th scale buggy tires. Additionally, Traxxas Rally owners can also use 1/8 GT class Slicks/Rally tires for dramatically improved performance. 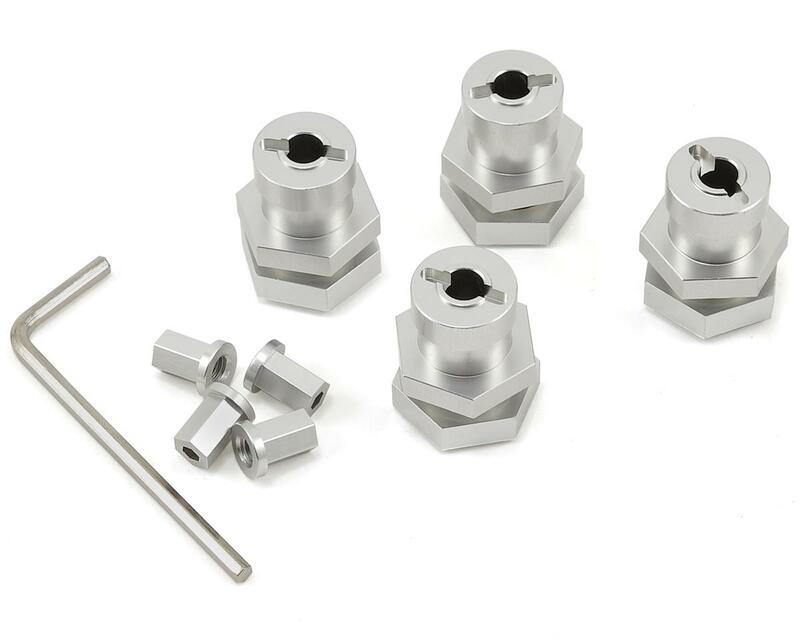 Featuring a simple single nut hold-down setup at each axle, these 17mm hex adapters open up a huge range of tire selection and styles for your 4wd Traxxas rig.